Roberto Firmino scored twice as Liverpool stormed to a resounding 5-1 win over Brighton at the Amex Stadium. The Brazilian hit his first goal just 79 seconds after Emre Can's header had put Liverpool in front in the first half, before adding his second shortly after the break moments after Simon Mignolet had made a point-blank save from Glenn Murray. The Brighton striker pulled a goal back from the penalty spot when Jordan Henderson was adjudged to have pushed Shane Duffy a few minutes later, but Liverpool added some gloss to the result with two late goals. Philippe Coutinho scored their fourth when he sent a clever free-kick under the Brighton wall and into the bottom corner, and two minutes later his curling shot was deflected into his own net by Lewis Dunk. Liverpool: Mignolet (7), Wijnaldum (7), Lovren (7), Can (8), Alexander-Arnold (7), Robertson (7), Milner (7), Henderson (7), Coutinho (9), Salah (8), Firmino (8). It capped an emphatic victory for Liverpool, who dominated from the outset despite a string of defensive injuries which forced Jurgen Klopp to use Georginio Wijnaldum and Can as part of a makeshift back three with Dejan Lovren. The first chances of the afternoon fell to Firmino, who headed over from Coutinho's corner in the fifth minute and failed to connect properly with an inviting cross from Trent Alexander-Arnold moments later. 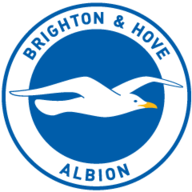 Brighton struggled both in and out of possession in the first half but they did have a chance to go in front in the 17th minute, when a low cross from Chelsea loanee Izzy Brown found its way to Murray in the Liverpool box. The striker looked well-placed to take advantage but sliced his effort wide. Liverpool punished Murray's wastefulness with Can's towering header and Firmino's breakaway second before the break, and they extended their lead with another outstanding counter-attacking goal after Mignolet's superb save from Murray. 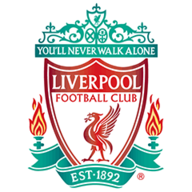 Liverpool made six changes from their 3-0 win over Stoke, with Andrew Robertson, James Milner, Trent Alexander-Arnold, Philippe Coutinho and Jordan Henderson coming in. Brighton made two changes, with Izzy Brown and Gaetan Bong starting. The Brighton striker pulled the hosts back into it from the penalty spot, but Liverpool held firm before Coutinho's late flourish extended their lead further. It was Liverpool's fifth win in their last six Premier League games and lifted them back into the top four. Brighton, meanwhile, were left to reflect on only their second home defeat of the season. Coutinho was outstanding having been rested for the 3-0 win over Stoke in midweek. The Brazilian set up the opening goal with perfectly-weighted low cross for Firmino, and he sealed the win in style in the closing stages. The free-kick for his goal was cleverly taken and perfectly executed, and he claimed an assist for Dunk's own goal. The stats underlined his influence. Coutinho had more shots, created more chances and completed more dribbles than any of his team-mates. It was another another reminder of just how important he is to Klopp's side. Liverpool have won three consecutive away league games after enjoying just one victory in the previous five on the road (D2 L2). There were just 79 seconds between Liverpool's first and second goals against Brighton. Philippe Coutinho has had a hand in 12 goals in his last 10 Premier League games (seven goals, 5 assists). Liverpool boss Jurgen Klopp says some of their play was nice to watch in their 5-1 hammering of Brighton and also admitted their counter attacking goals were very impressive. Jurgen Klopp: "We scored the first and then the second immediately after, both were fantastic goals, but then there was one of the nicest counter attacks I ever saw in my life. "After winning the ball, Roberto played a pass and then those three [Salah, Coutinho, Firmino], it was so good to watch. "The boys did very well [counter attacking] but for that you need to defend well and you need to win the ball in the right place." Brighton boss Chris Hughton admits his side were very naive in their 5-1 defeat to Liverpool in the Premier League. Chris Hughton: "We were too naive today and we haven't been like that against anybody. We have had a lesson today and we need to learn from that. "What we always knew, at this level against this level of team, if you don't play to levels that we have been playing this season it can happen. "The first three goals were the most disappointing we were still in the game on 30 minutes, they've got quality we knew that, but we concede from a set play and a minute later they get their second one." Brighton have an away trip to newly-promoted rivals Huddersfield next Saturday, while Liverpool host Spartak Moscow in the Champions League on Wednesday before the Merseyside derby with Everton live on Sky Sports on Sunday.